Like to watch unlimited Bollywood movies without having to pay a penny for TV movies and other TV channels? There is a solution, indeed. I have covered, however in about 20-26 pages, mainly because you should do a job for 1-2 hours to get thousands of TV channels. Among them, are of course TV channels presenting Bollywood films and some other Indian movies channels by different names rather than Bollywood. However, the other Indian channels also present Hollywood movies. Well, you will read something interesting here about Bollywood films and some insightful content on the linked pages to cover it completely and make it appealing for you to enjoy. Just watch out the way "TV Cinema App” grows. My dad has written this page. Enjoy. TVCinemaApp - Bollywood Movies: Aishwarya Rai Indian cinema star. Bollywood films are interesting with all of the Indian famous colors thrown all over the sciences with absolutely Indian lovely music and Indian songs even in all the genres of the Indian film, regardless to the main theme of the film. All of that is totally mesmeric in almost all of the movies produced and distributed by Bollywood. So, it is difficult, for this reason to assign some films to a specific film genre. However, the citing in the article has many values to get through to understand something about Bollywood films, which could make sense to you to watch your favorite Indian movies, with an open mind into some facts about the Indian cinema arts. Love, sacrifices and betrayals are always the main themes of the movies of Bollywood. In general, as we could classify the movies of Bollywood into action film and romantic film genres, we could also put them into the musical film genre and the crime and melodrama film genres too. But, when any theme becomes dominant, the movie will then belong to the specific genre that defines the most covered elements of the theme. Despite that, the movie could be also musical, as most of the movies we see include Indian music, songs and dances. The most interesting thing about Bollywood movies is that they reflect the simplicity of Indian live and some of them cover imaginary modern and wealthy lifestyles that is so reversal to the factual indian life, where poverty covers the majority of the Indian world. Neither poverty, nor simplicity is a shame. They are the atmosphere of real life where love, sacrifices, generosity, faith, bravery and wisdom all together make sense of the Indian ethics that covers the Indian sub-continent from India itself to Bangladesh, Tamil Nadu, Sri Lanka (Serendib and Ceylon) and Pakistan. However, the modern Indian cinema has failed to help the Indian nationals and the entire Indian land that is much more than the recent India find its identity. This is because, the recent state which is swapped after so many scissions is not the real Indian State Mahatma Gandhi had thought of. Yes, it is true when we see a movie before even we know anything about it to define it by its origin, as Indian film. 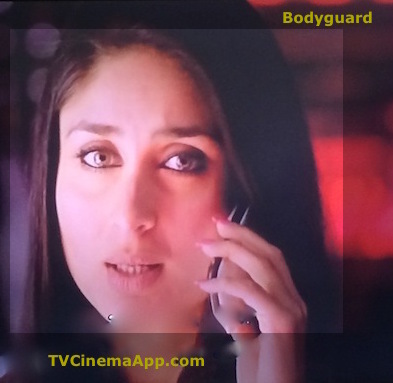 iWatchBestTVCinemaApp - Bollywood Films: Bodyguard, Kareena Kapoor and Salman Khan. What's Missing in Bollywood Movies? But, there is something missing in those Indian films we see, whether they are Bollywood movies, or not. We learn from the missing message of the great Indian sub-continent, that, power is always in integrity and pacifism presenting strong (unity in diversity). Look at America today, different great cultures and ethnicities make great continent. Why? Because of the (strong law and the historical struggle for justice and integrity, led only by Black and few sincere White). The Indian struggle was hard to keep the sub-continent intact, thanks to Ghandhi and his strong hold in Gujarat. Well, this should be one of the most interesting messages in Bollywood movies and all of the Indian cinema today. It is not the globalization that makes Bollywood movies, or the other Indian companies of cinema great, indeed, but it is the fact that the Indian movies are so sentimental and they are all integrated with music, songs and other types of Indian customs and celebrations. We see decent and innocent characters, even when they are performing criminal action films as samples of misled, or tempted figures by the hard situations they lived and then forced to change to perform criminal acts. Many cinema resources, including Bollywood itself claim that Bollywood is the first and the only one Indian movie company in the world that produces Indian films. While researching this topic, we found that there are some other great Indian filmmakers, who started the Indian cinema during the earliest decades of the nineteenth century. The word "Bollywood" itself indicates that it was created after "Hollywood" to follow the trace of the international cinema and get into the globalization mode. But, does that mean globalization? Don't agree? Use the form at the bottom of the page to explain why in full details and receive some gifts from the website's owner when you submit the form. iWatchBestTVCinemaApp - Bollywood Indian Films. We understand that globalization runs under the contextual and imagery content of the movies the company produces. Looking inside numbers of Hollywood movies, we miss the values of globalization, but we see only the mainstream line of the Indian movies, which is principle repeats itself again and again in so many Indian films. That is the general norm, which becomes significantly the trademark that differentiates Bollywood movies from other types of movies by other international movie companies, wether in Europe, or the Middle East. Meaning that it is only from the subjects and the performance and production you could identify the Indian film, even if the film doesn't include the form of musical films with dances and songs. But, is there any Bollywood movie that has not any type of this performance? If you knew, write about any of them at the form at the bottom of the page. My daughter would thank you for it, because this is her website and she will even give you some gifts, when you submit the form. iWatchBestTVCinemaApp - Bollywood TV Movies: Salman Khan and Kareena Kapoor playing Bodyguard. The main stories are almost the same, or related to each other and they have in common the same values. Even in a national film as Mother India, music, songs and dances take the same messages throughout the film, as in many other Indian movies. They are amusing and entertaining very well, though. They are popular too, because they have that magic of simplicity, love sacrifices, family relations and the integrity of the family and the normally featured differences between poverty and richness. And as always, the political struggle between the two classes stays away from most of Bollywood movies, as if that is a shame. The problems of clan-casts dynasties with traditional differences are the main themes of some of Bollywood movies. Moreover, we know the Indian sub-content very well and we know how the majority of the people suffer there, so there is no way to know India as a capitalist state where everybody lives in the paradise of richness, gardens and villas and so on. This appears in many of the movies, where richness dreams become more illusionary. The normal Indian life is just the opposite and it is indeed beautiful and lovely that way. iWatchBestTVCinemaApp - Bollywood Indian Dance Movies. Thanks to my dad… and you are here now where we come to a very interesting opinion sharing. To do that either select the simple form to tell us about your favorite movies, or if you are so active and don't mind spending 5 minutes here, use the second form to write about your favorite movie. Many thanks. I have many favorite movies to write about in the coming days. It is possible that you see some of them on some other pages. So, enjoy your time. Want to write about Indian movies? Use the following comments form to do so and upload pictures from the movies. Use the following comments form to do so and upload pictures from the movies. To write better, download and read "How to Write to Improve Your Life". If you liked Bollywood movies, please share it with your social media and other services. Pin the pictures on this page, or at Best TV Cinematography, I Watch Best TV Photo Gallery and I Watch Best TV Quiz.. Use the small buttons on the page. Comments on the movies produced in Bollywood appear at the second section of the page. They automate the TV Cinema App Blog, when you write and enter them in the form. Do, that and get some useful gifts to use to improve your life, even if you were a student. 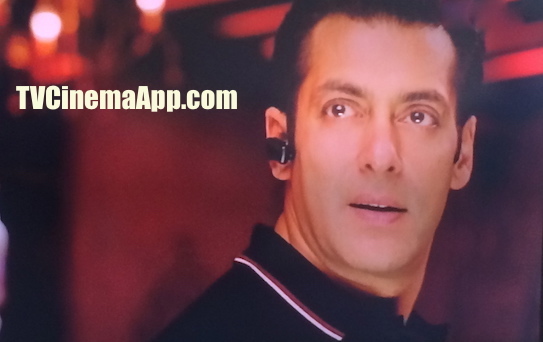 iWatchBestTVCinemaApp - Bollywood Films: Bodyguard Starring Salman Khan.